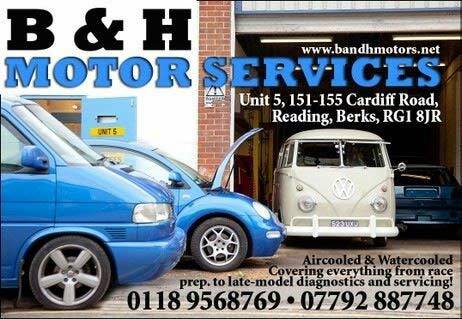 Introducing B & H Motor Services, Reading, Berks. Over the years, from the very first GTI Festival events in the late 1980s, the shows have attracted hordes of Volkswagen enthusiasts to several different venues around the UK. The GTI Festival and ‘Inters’�� were for a decade or more, just about the only specialist watercooled VW events of the year. Now, we have a busy show calendar. 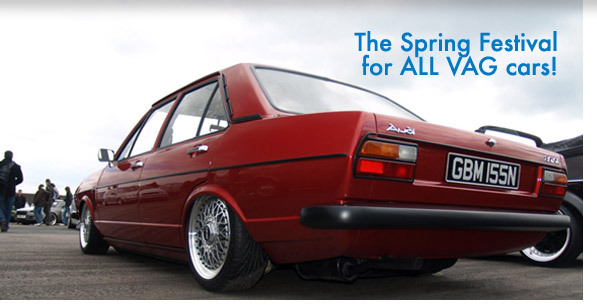 The GTI Spring Festival is now established as the real ‘season opener’��, and THE one day show for all enthusiasts of all VAG marques, SEAT, Skoda, Audi and of course Volkswagen. And now the Volkswagen Group includes Lamborghini, Bentley and Bugatti too! The GTI Spring Festival, is a show where all VAG vehicles are welcome with open arms. All clubs are invited to display during the day, and after a very well received revamp of the show layout, the clubs area is now able to accommodate in excess of the 40 clubs who regularly attend the event. If you want your club to be part of the show, you need to act fast. The earliest club bookings get pride of place, and we expect to see a huge number of clubs and registers represented, so please get in early! To book club displays call 01279 725252 or email us. The GTI Spring Festival Show & Shine has a massive number of awards including Best Audi, Best Skoda, Best SEAT, and Best VW, Best Engineering, Best Paint, Best Engine, Best Van and many more. There are also ‘top twenty’ trophies covering all the marques, and full details are available via the SPRINGfest ‘Show & Shine’ link. FRIDAY 18th MARCH – THIS FRIDAY! – NO ADMISSION FEE! 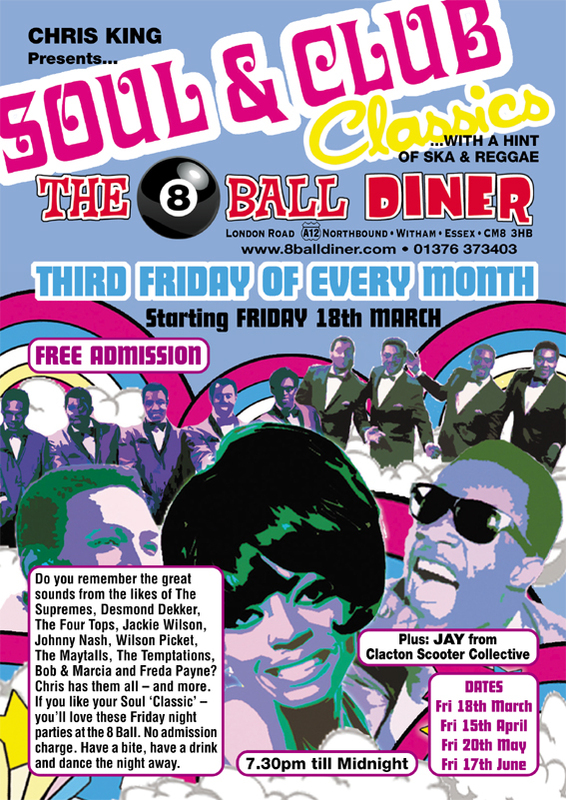 Firmly aimed at the local community but with allcomers most welcome, the legendary Soul and Motown DJ, Chris King, hosts the party at the 8 Ball Diner on the third Friday of every month starting on FRIDAY 18th MARCH. Do you remember the great sounds from the likes of The Supremes, Desmond Dekker, The Four Tops, Jackie Wilson, Johnny Nash, Wilson Picket, The Maytalls, The Temptations, Bob & Marcia and Freda Payne? Chris has them all – and more. If you like your Soul ‘Classic’ – you’ll love these Friday night parties at the 8 Ball. No admission fee. Have a bite, have a drink – and dance the night away. All VZi’ers welcome. Music starts at 7.30pm till Midnight. Shazam! 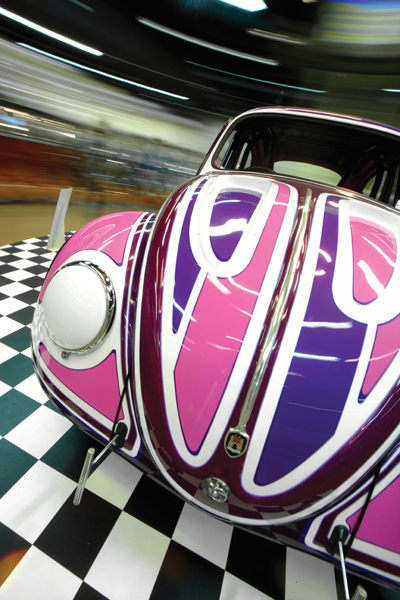 The puff of smoke has cleared and the 2011 VolksWorld Show is almost here. It’s not down to magic though, it’s down to a lot of hard work by my team for a start. But that would be nothing without each and every single car owner and workshop who have been building the cars you’ll see at the show. I doubt we could add up all the hours that have been spent in cold garages over the winter on these cars. One thing is for sure – we’ve got some seriously cool cars together for you. To celebrate the 50th Anniversary of the VW Type 3 we have gathered together some great examples from all over Europe and put them into a special display. We have also got a lovely Type 3 Karmann Ghia in the main foyer which you can get your photograph taken in – we’ll then make you a one-off 50th Anniversary VolksWorld Front cover which you can take home as a momento. All proceeds (not profits!) will be donated to our nominated charity SPECAL. Also in the foyer The Southern Dune Buggy Club members are attempting to build a Beach Buggy from scratch so if you come make sure you keep them fired-up with words of encouragement. Santa Pod Raceway and Brian Burrows are pleased to announce that they are STILL adding new and exciting attractions to the Big Bang/Camper & Bus Show on the 6th- 8th May 2011. 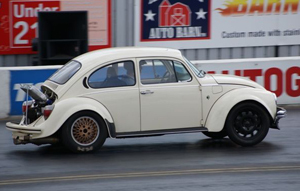 Courtesy of the Kaag Kevers VW Club they have not one, but SEVEN of Belgium and Holland’s quickest VWs coming along to spice up the RWYB competition. 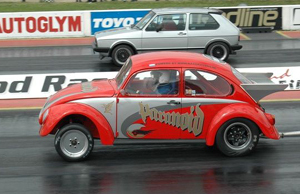 These cars include 1303s, Ovals and the Paranoia Beetle race car which was last seen pulling huge wheelies and charging up the track at VW Action 2010. ULTRA VW MEET – in association with Ultra VW Magazine. 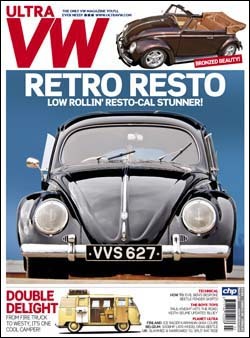 Thursday 7th April at the 8 Ball Diner and every first Thursday of the month – Ultra VW Magazine comes to the 8 Ball. Open to all – but especially to lovers of all things aircooled VW. Expect to see a car park full of Bugs, Busses, Type 3s and more. Ultra VW Magazine will be on hand to take subscriptions and sell the latest issues of the magazine as well as back issues. Not to be missed. 7.30 till midnight. The 8 Ball Diner has been created with the vision of providing the best facility in the UK for any car or bike enthusiast club or group. The Diner reflects its owners’ passions for cars and bikes both new and old, 50s lifestyle, Bikes, Drags, Vintage and Kustom Kulture – but our ‘take’ on this still manages to offer the style and comfort of a truly 21st century restaurant and bar. We care about our food, our customers, and our facilities, in a way that ‘franchised’ or ‘corporate’ bar/restaurants just cannot. 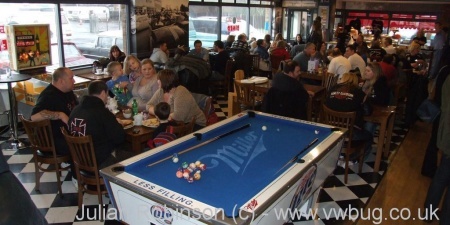 We are currently building a calendar of events for 2011 and onwards, with clubs ‘hosting’ a regular night, breakfast meet, or day meeting at the 8 Ball. Each night will still be open to all owners and enthusiasts, whether or not they are members of the host club. There is no question that the 8 Ball is all about a love of cars and bikes, but other areas have not been overlooked. The sound system, plasma TVs and air conditioning help create a ‘club’ atmosphere, but that’s not a reason to not indulge in the extensive British and American styled food menu. Bangers & Mash and Steak & Kidney Pudding sit proudly alongside smokehouse Chillis and hand formed Burgers, all of which can be washed down with beer, American lagers, glass bottled colas, or traditional milkshakes. We hope you like what you find at the 8 Ball today, but be assured we are not going to stop improving until we’re the best roadside diner on the planet.